What is Farm to Cafeteria Canada? About Farm to School: Canada Digs IN! Farm to Cafeteria Canada is looking to help schools promote their Farm to School salad bars to students. This contest is being run as a trial and is open to Ontario elementary and secondary school students from Kindergarten to Grade 12. We want to see advertising posters and social media blasts that are created by students, for students, with the purpose of encouraging students to participate in their school’s salad bar program. 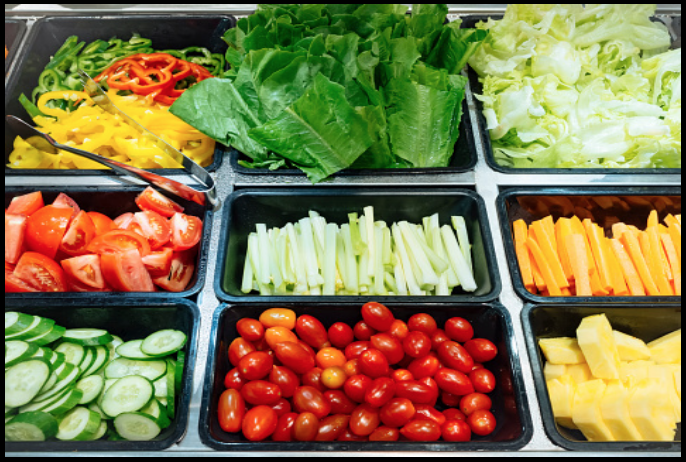 Submitted entries will be made available for schools across the country to use to advertise their salad bars in Fall 2018. See details below. Entries will be judged by students; winners will be notified in mid-June. Elementary and secondary school entries will be judged separately from one another. First, second, and third place prizes will be awarded within each of these categories. *Note: if stock images are used, they must adhere to copyright laws and you must provide information noting image source. Submissions can only be accepted in English at this time. Find a Farm to Cafeteria Canada lead in your region.